« From The Mr. Magazine™ Vault: Magazines From 1919 and 1932 — Similar Topics As Magazines From 2017, But Perhaps Better Coverage And Content? 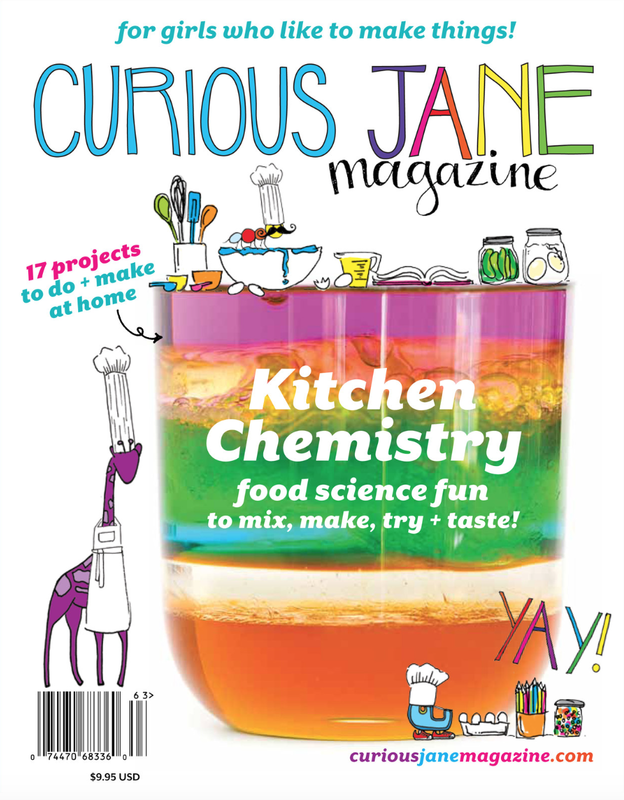 A community of confident, inquisitive girls between the ages of six and 11, who like to make things, is the heart of Curious Jane magazine. And the woman who pumps that heart with her passion and dedication is its founder, Samantha Razook Murphy. 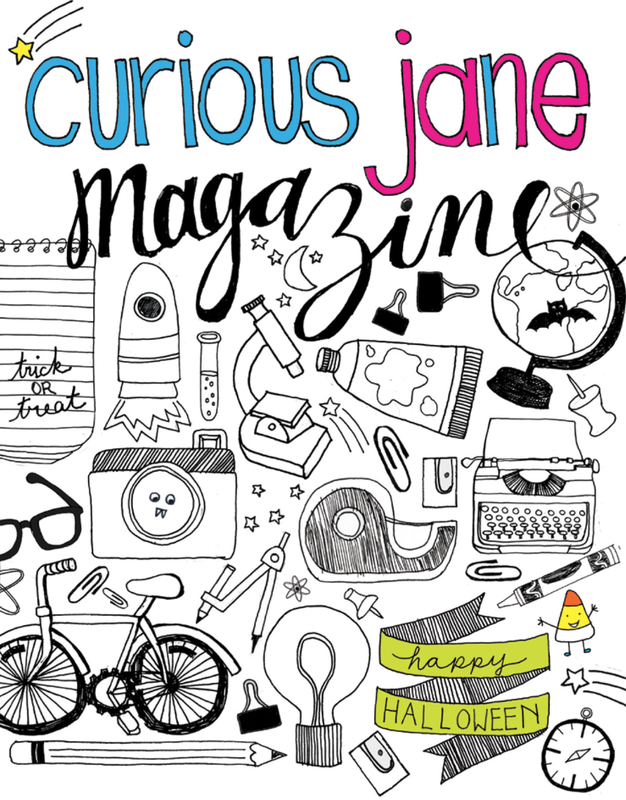 I spoke with Samantha recently and we talked about the genesis of Curious Jane, the projects and the summer programs, and we talked about Curious Jane, the magazine. All of which fall under one brand that has become quite popular with its audience and with those readers’ parents. Samantha actually gave birth to the idea for a great summer camp when her own two daughters were small and has worked hard to grow the business since then. 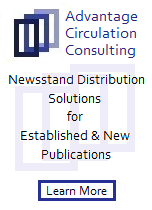 The magazine was launched two years ago and has become an incredible tool to promote the brand and engage with readers. Today, you don’t have to live in the NYC area (which is where Curious Jane originates from, Brooklyn to be exact) to have a Curious Jane experience. It’s happening for girls all across America with the magazine. So, I hope that you enjoy this interview with a woman who believes empowering young girls to “think with their hands” and be curious, while learning to create at the same time, is done best through an environment of projects, programs and print, Samantha Razook Murphy, founder, Curious Jane. On the genesis of Curious Jane: When I started Curious Jane, I literally opened up a bank account with $500, so there wasn’t a business plan, it wasn’t funded, anything like that. It was just its own truck, sort of motoring down the road. And when we received this grant we were able to use some of that to work with a group, focus on how we might grow Curious Jane and the business. And one of the ideas that came out of it was taking all of these projects and activities that we had developed over the years with the summer camps and repackaging it into an in-print magazine for girls that was ad-free, subscription-based, so that girls in different parts of the country who certainly couldn’t actually attend the camp due to geography could be a part of the Curious Jane experience. And girls who were a part of our programs could continue to have those projects during the schoolyear, instead of just during the summers. On whether anyone told her she was crazy to start a print magazine in this digital age: This man I was chatting with said to me that just because I was getting bored with the camps didn’t mean that I should start a magazine. And that was a pretty eye-opening statement, but it did help me to reframe. We continued with the magazine though, and I actually had lunch with him recently and told him that we had continued, but that his statement was very helpful in reframing my thoughts about it and about how the numbers work around the magazine. On how she chose the name Curious Jane: The fact that there is a Curious George and that people know it and it sort of rolls off the tongue has certainly worked in our favor. Honestly, I think it was right before the first summer of camp and I was thinking about what to name this little thing that I was doing for my young daughters in order for me to be able to work, and I truly think it was one day when I was walking back from the laundromat and thinking what was the most important attribute that I wanted to instill in my girls? And it was curiosity. And something that I say even now when I work with girls is, think with your hands. Take the thinking out of your head and think with your hands. On the biggest challenge that she’s had to face: I think the biggest challenge that we’ve had and continue to have is how to make it a financially positive aspect of what we do. When we started we had a very small subscriber base, a lot of them were our campers and people who knew us. And then about a year and a half into it, a mother of one of our camper’s works with a group called Sterling Publishing. She came to me and asked whether I had ever thought about doing a book of our projects. And I told her that in my mind a book meant taking a lot of time and resources and not making any money. We’re such a small business, wearing a million different hats; I can’t devote the resources to that. And she said that they wanted to make it really easy on me by taking all of the content that we’ve produced for the magazine so far and repackage it for the book. On her most pleasant moment: Every time we work on the magazine is the most pleasant moment. We have a great time working on the projects and the fun little tidbits that have come up into it. A lot of things have changed from the first issue, in both the trim size and the layout. With my background in industrial design, something that I think has benefitted me is the comfort level I have of getting something to prototype stage and then getting it into people’s hands, and seeing the feedback we get and how we feel about it. On how she met Jack Kliger and John Griffin: I met someone who knew Jack, and when I was telling this woman that we had just printed the first pre-issue of the magazine, she said she knew a few people who might be of help. I wrote down their names and she asked if I would like her to connect me with them. And one of them was Jack. And at that time we were looking for funding, we’re always open to it. But I specifically wanted to pick his brain and get as much advice as I could, so I met him for coffee. And at that point I understood what his very large and successful background in publishing and magazines was, and something that I really appreciated was he was willing to talk to someone who had only printed the second issue of a magazine. It was ad-free, we had 250 subscribers and he was able to give me very specific and useful suggestions for the magazine. About a week later, he called me and asked me was I interested in a little bit of funding and taking on an advisory board. He had another friend, John Griffin, who he wanted me to meet. So, that’s how I met them. And then they did ultimately become investors, but really advisors, and not just in the magazine, but in Curious Jane as a company. On anything that she would like to add: Via the magazine, which has been a great tool for us, when I think of Curious Jane, it started as a camp, now we have a magazine; I really think of it as a community. I want it to feel like a community for girls, where they make things and feel empowered and self-confident. And to remove fear of failure is really at the core of that as well. 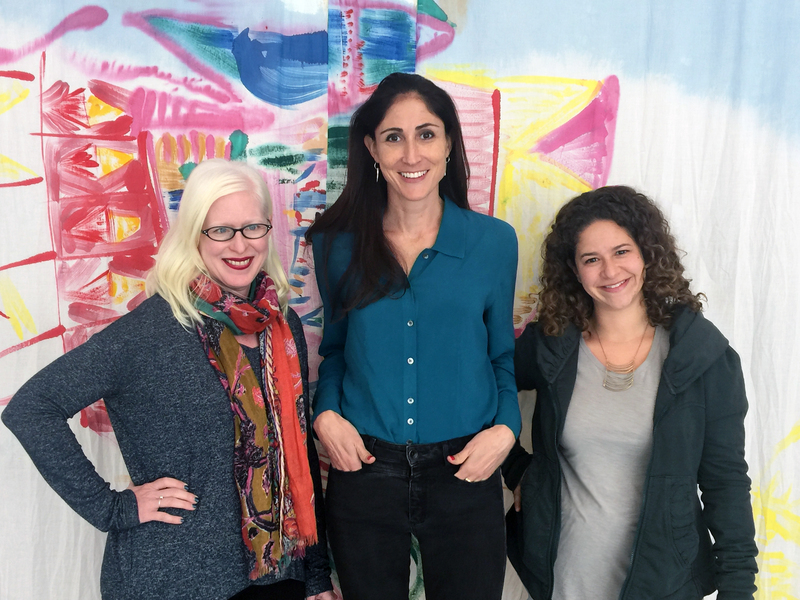 In the past couple of years we have been able to work with a few organizations that have a national audience, Amy Poehler, Smart Girls, Parents Magazine, Family Fun, and we have our book coming out, so these types of collaborations with other groups, and likeminded organizations are something that we really enjoy and that we want to encourage and continue to grow. Elissa Josse (R) – artwork, doodles, layout and project creation. On what drives her and makes her get out of bed every morning: All of the things that drive me are getting to work with the amazing people that I work with; we’re a small office year round. There are three to four of us; a tremendous, awesome, fun group. And then during the summer we hire about 100 to 120 young women to work with us, and the type of people that Curious Jane attracts to work with the girls over the summer is outstanding. So, getting to work with them is a complete honor. On what someone would find her doing if they showed up unexpectedly to her home one evening: I really value the evening time. You would find me cooking; I find that to be really enjoyable and relaxing. I put a lot of value on the family meal in the evenings. My older daughter is quite musical, and what you will find in my small, cozy, warm apartment is cooking and music and candles, things like that. I don’t have a television and I don’t really consume digital media, but I guess a lot of people don’t have a television anymore; they use their computers for that sort of thing. On what keeps her up at night: That’s a good question and I have a very specific answer, which is that I constantly run numbers in my head. I’m very fortunate that I have two girls, sort of a reconstructed family, and none of these things keep me up at night. Everyone is doing great, knock wood. As far as enjoyment of my workday, all of that is wonderful. It’s the numbers and how to keep the business moving forward. And now the lightly edited transcription of the Mr. Magazine™ interview with Samantha Razook Murphy, founder, Curious Jane. Samir Husni: There seems to be a movement when it comes to launching new magazines for girls. In the last two or three years, I’ve seen at least five or six magazines that have come to the marketplace and each one of them are one-of-a-kind. Tell me about the genesis of Curious Jane. Samantha Razook Murphy: I have two daughters; they’re now 13 and 15. And I started Curious Jane nine years ago. It really started as a summer camp and continues as a summer camp. I did my undergraduate degree in Graphic Design at Yale, and then I moved to Brooklyn and did my master’s in Industrial Design at Pratt. And both of my girls were born by that time. They were young during the summers when I was pursuing my master’s at Pratt, and I directed all-girls residential programs on college campuses, so that’s how I go into the all-girls summer camp environment. And then 2008/2009 rolled around and the economy took a nosedive and at that time my husband and I had to get a bit creative with what we did and how we stayed in Brooklyn, so I started an overnight camp program because that’s what I was familiar with and used to. But I needed something for my own girls to do; they were early elementary school aged, so I started Curious Jane. And it began truly as something for them and their friends to do during the summer months while I tried to get this overnight camp for girls off the ground. That was the summer of 2009 and I hired a couple of instructors; I rented a van from a rental place in the city, we were living in Brooklyn and still do, and literally drove the camp van, picked up their friends, dropped them off at a school where we had rented some classrooms and the teachers were the instructors who taught the programs. So, from that first summer of Curious Jane, the way the camp worked was girls could sign up for a week or two or three weeks, and then they would choose their favorite theme for the week. And all of the themes revolved around science, engineering and design. And that’s still what we do. That first summer we had just a handful of girls, but they could take a week-long class called “Why Buildings Stand Up,” which was architecture and engineering combined. They could take a week of “Toy Design.” So, these were the types of things that were the foundation of Curious Jane. Then over the years Curious Jane really grew. People were really receptive to it; the girls loved it; the parents loved the idea of it, and in the end the residential programs certainly didn’t grow at the same pace and ultimately shrank. So, we stopped running the overnight program and only focused on Curious Jane. We added things like after-school programs, and we did run it in a few other states, but now we just focus on the New York City area. In 2014, we applied for and did receive a small business grant; we are for-profit, so the word “grant” is a little bit misleading, but we applied via Chase through a program they had at the time called “Mission Small Business” and it was an unrestricted quarter of a million dollars. It was pretty competitive, I think there were around 35,000 applicants, and we were one of 12 recipients. And that helped us continue doing what we were doing and it also gave us the opportunity to work with, for the first time, a business development group and they were wonderful. When I started Curious Jane, I literally opened up a bank account with $500, so there wasn’t a business plan, it wasn’t funded, anything like that. It was just its own truck, sort of motoring down the road. And when we received this grant we were able to use some of that to work with a group, focus on how we might grow Curious Jane and the business. And one of the ideas that came out of it was taking all of these projects and activities that we had developed over the years with the summer camps and repackaging it into an in-print magazine for girls that was ad-free, subscription-based, so that girls in different parts of the country who certainly couldn’t actually attend the camp due to geography could be a part of the Curious Jane experience. And girls who were a part of our programs could continue to have those projects during the schoolyear, instead of just during the summers. 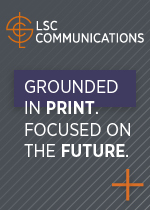 We have been printing the magazine itself for two years now and it comes out quarterly. I think the issue you have is the “Super Silly” issue, and most of our issues revolve around our popular camp themes and we have used those projects to repackage into a magazine. The “Super Silly” issue was kind of a fun departure from that. It was a little bit more lighthearted and filled with different craft projects. 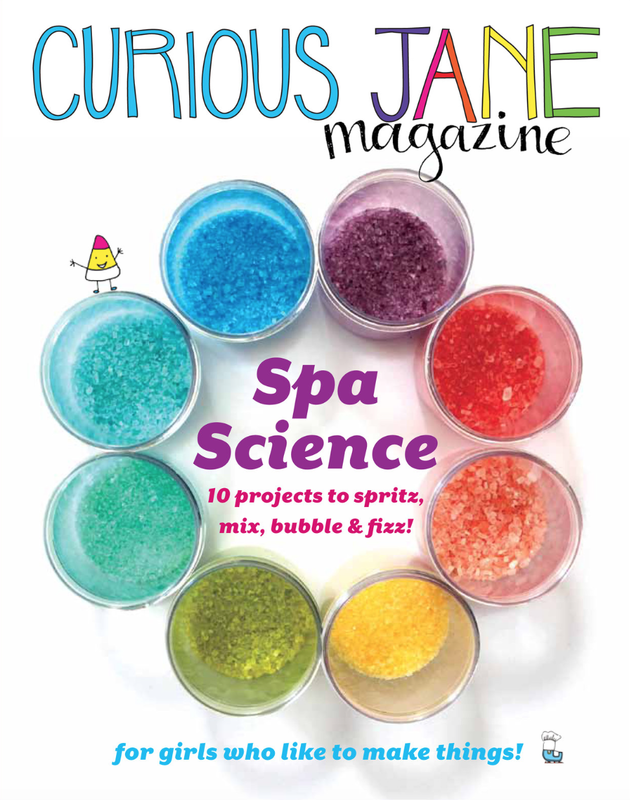 But for example, some of the others were a “Spa Science” issue, girls could make anything to do with bath products and spas, and also learn about science in the process. We had a “Spy Science” one, which is very popular at classic camp, which is learning about detective work and things like that. Samir Husni: You took your passion and your necessity and created Curious Jane, both the summer programs and the magazine. Did anybody tell you that you were out of your mind to start a print magazine for girls in this digital age? Samantha Razook Murphy: Actually, there was a conversation that I had a couple of years ago, because when we started the magazine it wasn’t as though we were receiving additional funding, the camp business was what was funding and continues to fund the magazine, so a couple of years ago before I met Jack (Kliger) and John (Griffin), I had lunch with a brother of a friend of mine and he has a private equity group, and his group particularly focuses on grants, so it’s sort of a niche area for private equity. And I think at that time we had printed the first, very slim pre-issue of the magazine at great expense, and when I say “we” I mean our small office of two to three people, where most of what we do is other business and then we have a sunny space in the office where we do all of the photography and layout, because my background is in graphic design; all of that is done in-house. So, this man I was chatting with said to me that just because I was getting bored with the camps didn’t mean that I should start a magazine. And that was a pretty eye-opening statement, but it did help me to reframe. We continued with the magazine though, and I actually had lunch with him recently and told him that we had continued, but that his statement was very helpful in reframing my thoughts about it and about how the numbers work around the magazine. And then a few other people have said that I was crazy to launch a print magazine and that I really needed to be in the digital space, but part of it is a personal passion, having a background in design and loving objects and paper and magazines. So, the print part was very important to me. But also our audience is 6 to 11-year-old girls, so they’re not really consuming online media in a way that say, a 12 to 13-year-old girl would, so the in-print aspect of it was important to us. But plenty of people asked and still ask what in the world was I thinking. Samir Husni: I know the name Curious Jane is obvious, but tell me how you chose that name. Everybody knows Curious George. Is it the fact that you have two girls and you didn’t want them reading Curious George, you wanted them to have their own magazine? Samantha Razook Murphy: The fact that there is a Curious George and that people know it and it sort of rolls off the tongue has certainly worked in our favor. Honestly, I think it was right before the first summer of camp and I was thinking about what to name this little thing that I was doing for my young daughters in order for me to be able to work, and I truly think it was one day when I was walking back from the laundromat and thinking what was the most important attribute that I wanted to instill in my girls? And it was curiosity. And something that I say even now when I work with girls is, think with your hands. Take the thinking out of your head and think with your hands. Having spent eight years in an educational environment, graphic and industrial design, we’re basically studio classes. I mean, everyday you’re putting your work in front of someone and having it critiqued and talked about and given feedback on. So this idea of continuing to be curious and collaborative, and to feel comfortable putting yourself and your work out into the world in order to learn and grow from it, rather than to feel defensive about it, private about it, or shutdown about it; the idea of curiosity is very important to me for myself, my girls and what we do as a business. So, that word was set. And Jane is just the idea that I wanted it to reference every girl, Jane being a sort of “every girl” theme. Samir Husni: What has been the biggest challenge that you’ve had to face and how have you overcome it? 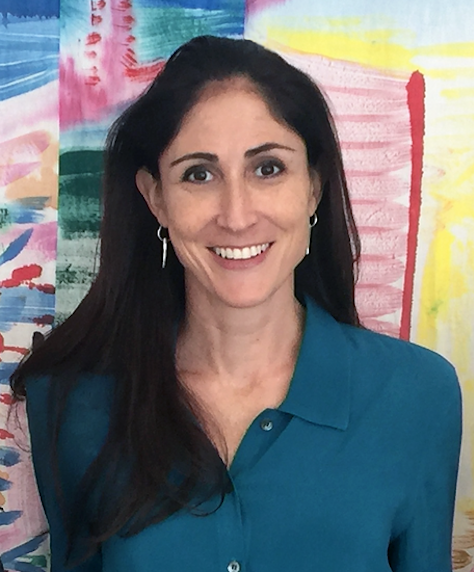 Samantha Razook Murphy: I think the biggest challenge that we’ve had and continue to have is how to make it a financially positive aspect of what we do. When we started we had a very small subscriber base, a lot of them were our campers and people who knew us. And then about a year and a half into it, a mother of one of our camper’s works with a group called Sterling Publishing. She came to me and asked whether I had ever thought about doing a book of our projects. And I told her that in my mind a book meant taking a lot of time and resources and not making any money. We’re such a small business, wearing a million different hats; I can’t devote the resources to that. And she said that they wanted to make it really easy on me by taking all of the content that we’ve produced for the magazine so far and repackage it for the book. That helped us continue the magazine and it sort of balanced out the cost that we were using to get the magazine off the ground. In order to produce this book, she made it very easy on us. Sterling happens to be owned by Barnes & Noble and so via that she asked why I didn’t send some magazines over to the woman who runs newsstand for Barnes & Noble. And we did that, and she has been incredibly supportive. So, the issue that you picked up at Barnes & Noble is actually only the second issue that has been on newsstand. The obstacle has been how do we continue to print this, grow the word, get it into girls’ hands, and thrive as a business. Samir Husni: And what has been the most pleasant moment? Samantha Razook Murphy: Every time we work on the magazine is the most pleasant moment. We have a great time working on the projects and the fun little tidbits that have come up into it. A lot of things have changed from the first issue, in both the trim size and the layout. With my background in industrial design, something that I think has benefitted me is the comfort level I have of getting something to prototype stage and then getting it into people’s hands, and seeing the feedback we get and how we feel about it. So, the most pleasurable moments of all have been seeing the magazine itself. And I continue to look forward to working on it. Even for the next issue, which we’re working on now; we have new ideas for how we want to change a few things, really include more girls, that sort of thing. This growing organic product has been a huge amount of pleasure to me, and then also just the chance to actually work on the magazine is great fun. Samir Husni: How did you meet Jack Kliger and John Griffin? These are giant names in the industry. Samantha Razook Murphy: I really enjoy talking to people, learning about business, growing a business, and Curious Jane itself is a female-started and female-run business that, like I said, was started with $500 in the bank. A few years ago, we did cross the one million in revenue mark, which is somewhat of an indicator. So, we started connecting to other people in the business world. I like to meet other people. And they would tell me that more female business representatives were needed at such and such dinner and if I could please come. So, through those channels I met someone who knew Jack, and when I was telling this woman that we had just printed the first pre-issue of the magazine, she said she knew a few people who might be of help. I wrote down their names and she asked if I would like her to connect me with them. And one of them was Jack. And at that time we were looking for funding, we’re always open to it. But I specifically wanted to pick his brain and get as much advice as I could, so I met him for coffee. And at that point I understood what his very large and successful background in publishing and magazines was, and something that I really appreciated was he was willing to talk to someone who had only printed the second issue of a magazine. It was ad-free, we had 250 subscribers and he was able to give me very specific and useful suggestions for the magazine. About a week later, he called me and asked me was I interested in a little bit of funding and taking on an advisory board. He had another friend, John Griffin, who he wanted me to meet. So, that’s how I met them. And then they did ultimately become investors, but really advisors, and not just in the magazine, but in Curious Jane as a company. Samantha Razook Murphy: What I would add is that we’re a small business, but we are completely committed to getting this off the ground and growing it. What I’m doing now is reaching out to as many people as possible to continue to spread the word, to grow subscriber base; and what I’m looking for is, in general, feedback and thoughts. I’m very open in that way in connecting and working with people. 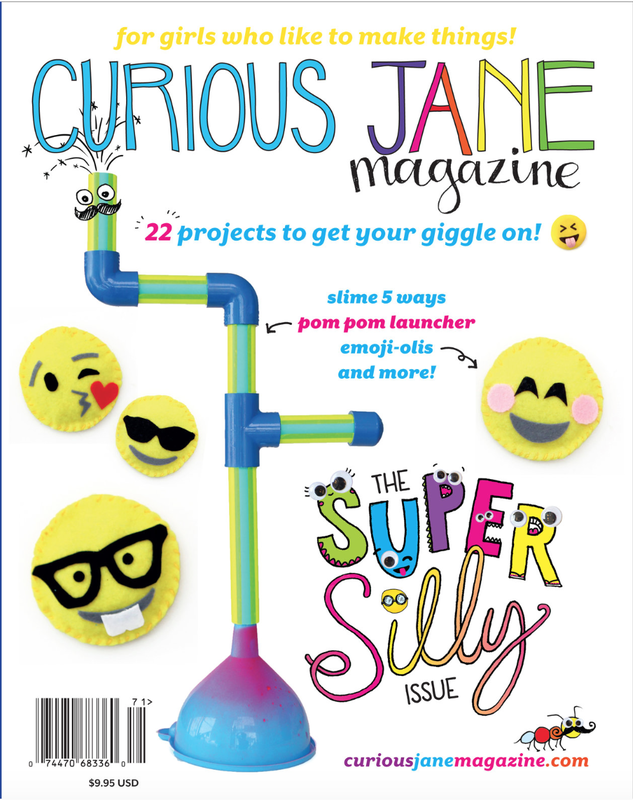 Via the magazine, which has been a great tool for us, when I think of Curious Jane, it started as a camp, now we have a magazine; I really think of it as a community. I want it to feel like a community for girls, where they make things and feel empowered and self-confident. And to remove fear of failure is really at the core of that as well. In the past couple of years we have been able to work with a few organizations that have a national audience, Amy Poehler, Smart Girls, Parents Magazine, Family Fun, and we have our book coming out, so these types of collaborations with other groups, and likeminded organizations are something that we really enjoy and that we want to encourage and continue to grow. Samir Husni: If someone were to stop you on the street and tell you that they had seen your brochure and that they knew you were the founder of Curious Jane. And they knew what all you did, summer programs, workshops, events and a magazine. And they asked you, with all of that, what drives you? What makes you get out of bed in the morning; everything or one thing in particular? So, all of the things that drive me are getting to work with the amazing people that I work with; we’re a small office year round. There are three to four of us; a tremendous, awesome, fun group. And then during the summer we hire about 100 to 120 young women to work with us, and the type of people that Curious Jane attracts to work with the girls over the summer is outstanding. So, getting to work with them is a complete honor. Getting to have a balance to my day; you know, sometimes it’s admin and paperwork, sometimes it’s getting to do photos for the magazine, sometimes it’s trying out a new project; there is so much variety. And then also there is challenge and that’s a complete pleasure. So, I would say that these things that create a work environment or a professional environment are what I enjoy so much. And then also I get to do something that has such a strong, positive social mission, and that’s a real treat. Samir Husni: If I showed up unexpectedly to your home one evening, what would I find you doing; reading a magazine; doing some designing; having a glass of wine; or something else? Samantha Razook Murphy: I really value the evening time. You would find me cooking; I find that to be really enjoyable and relaxing. I put a lot of value on the family meal in the evenings. My older daughter is quite musical, and what you will find in my small, cozy, warm apartment is cooking and music and candles, things like that. I don’t have a television and I don’t really consume digital media, but I guess a lot of people don’t have a television anymore; they use their computers for that sort of thing. What you’ll see when you walk in is a guitar, a keyboard, a bass, a kitchen, a dining table, which is where we eat and do homework. It’s where we do crafts, when the opportunity arises I like to make things. But really the office is a great place to make things. And that’s what you would find me doing in the evening. Samantha Razook Murphy: That’s a good question and I have a very specific answer, which is that I constantly run numbers in my head. I’m very fortunate that I have two girls, sort of a reconstructed family, and none of these things keep me up at night. Everyone is doing great, knock wood. As far as enjoyment of my workday, all of that is wonderful. It’s the numbers and how to keep the business moving forward. Magazines Matter. Print Matters. 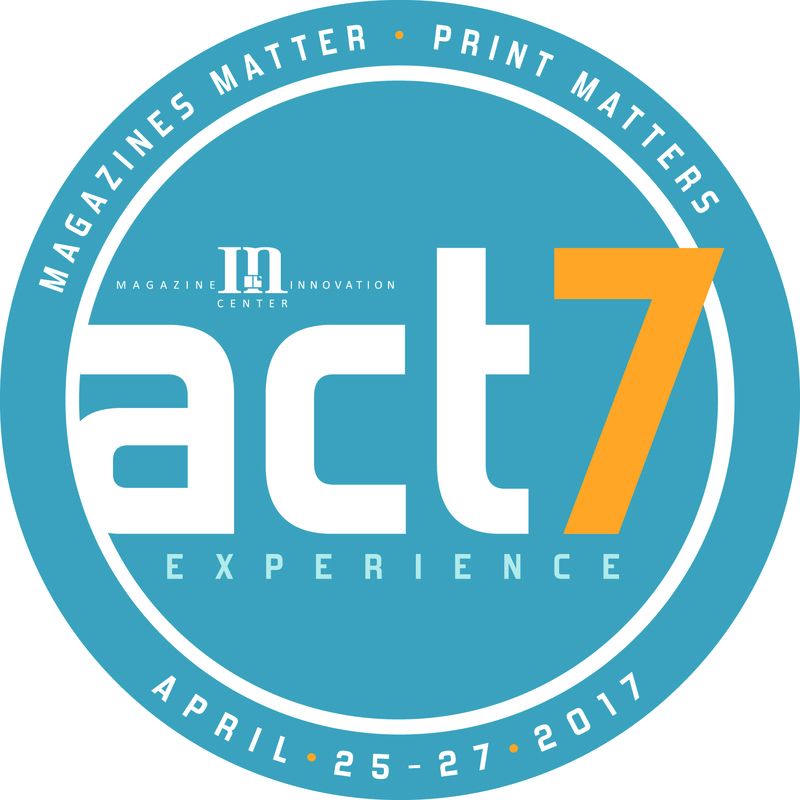 That is the theme for the Magazine Innovation Center’s ACT (Amplify, Clarify, Testify) 7 Experience that will take place April 25 to 27. 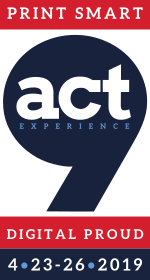 Space is limited, so check the agenda and register to join us for an experience of a life-time.